Dr. Chris Moody commits to nothing short of excellence, and feels fortunate to have a profession that not only allows him to take care of patients’ smiles but also to create lasting relationships with families who visit our practice. For Dr. Moody, it is an honor to know he’s made a difference in a person’s life. The friendships he’s built with so many of our patients over the years are a testament to the trust they have in the care we provide at Cardinale Dentistry. Because he knows every patient is different, it’s always a unique challenge for Dr. Moody how best to treat their dental needs and concerns. One of the many reasons Dr. Moody enjoys working with Dr. Cardinale and our team at Cardinale Dentistry is because we treat each patient as if he or she is our only patient, and strive to take care of each person who walks through our doors in a professional and gentle manner. Following graduation from the University of Maryland School of Dentistry, Dr. Moody spent three years in the U.S. Navy Dental Corps. 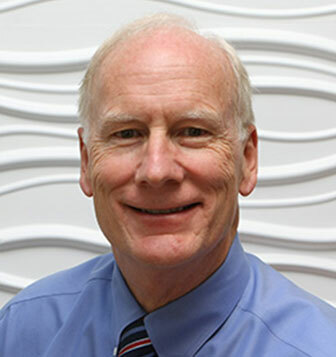 During that tour, he had the opportunity to study with some of the best dental minds in the corps, while rotating through the various departments of the main dental clinics in Washington, D.C. During that time, he also started his private practice, which spanned 35 years in suburban Maryland. The last few years of his practice focused on adult restorative dentistry while providing other necessary services to the large patient population. It is our unrivaled staff, made up of people who truly love their jobs and care about each individual patient, as well as take the time to make sure their dental experience is the best it can be, that makes Dr. Moody so thankful to come to work day in and day out. There is nothing our team won’t do to make our patients happy! If you would like to schedule an appointment with Dr. Moody, or have any questions, please contact our Naples dental practice today!